WOW! Awesome 4-level with so many upgrades & updates throughout! Custom front entry deck, security storm door & updated entry door. 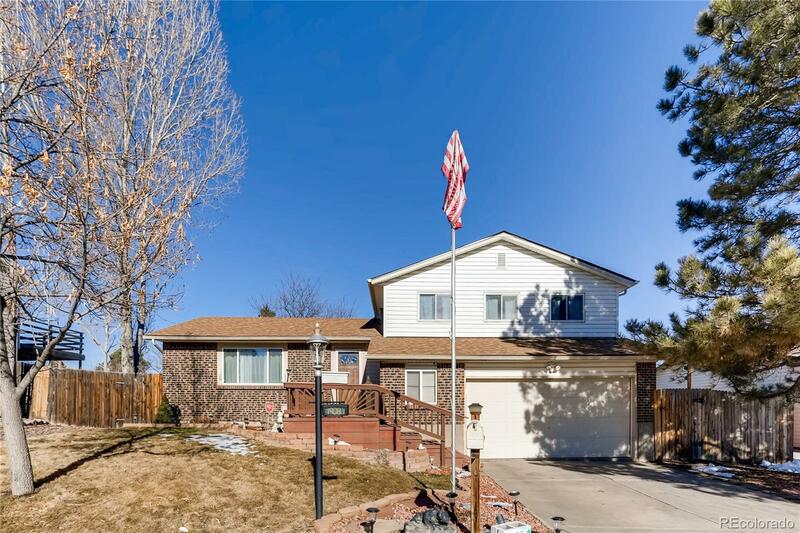 The kitchen has been updated w/ granite counter tops, tile flooring & upgraded kitchen appliances: refrigerator w/ water & ice, microwave, self-cleaning oven/range & dishwasher + instant hot water at the sink! Plus the hits just keep on coming: Master bedroom w/ private updated & bathroom - newer carpeting - updated windows - low maint siding & new roof in Nov 2017 & newer central A/C & Lennox brand furnace - new main sewer line in 2018 - multiple ceiling fans & pellet stove for winter heat w/ wood mantel & custom stone surround & large back deck w/ hot tub - convenient fam room level 1/2 bath & 2 car garage w/ side work bench area - fenced backyard w/ 2 utility sheds - sprinkler system & unfinished bsmt w/ room for future expansion & no HOA fees to pay! Perfectly situated close to local C.C Schools & Seven Lakes Park!